Oops! Did you mean to type in “Capital” instead of “Capitol”? American Capital Health, Inc. is not a full-service health insurance company, but a full-service insurance marketing business. They have been in business since 2000, marketing insurance products that meet the needs of a growing senior population. Their healthcare insurance products are Medicare Advantage and supplement insurance. No matter what your age, if you enter your zip code in the box you’ll find health insurance rates that fit your needs. American Capital Health acts as a broker between insurance companies and agents with customers looking for the right plan and the right price. They are authorized to represent most HMOs. American Capital Health will work directly with seniors aged 65 and older to not only educate them about Medicare, but also give them information on all of their insurance options under Medicare. If you have questions about American Capital Health’s health insurance products, you may call them at 917-557-8574 or 212-544-2000. Use the 212-544-2000 number to inquire about their supplement insurance, Advantage Plan, annuities, leads, and reverse mortgage product, as well as any final expenses and legal information. American Capital Health is always on the lookout for NY licensed insurance brokers for Medicare Part C and Part D enrollments. If you are located in Connecticut, New Jersey, or New York City, or in either Nassau County or Westchester County in New York, then this might be an opportunity for you to earn extra income. Visit their website page for more information and requirements. If you are an agent looking for insurance leads, American Capital Health offers its agents discounted leads through reliable, top-rated lead-generation companies like Jenmarco and USADATA. Agents get preferred pricing on Internet, phone, and direct-mail leads. American Capital Health is committed to ensuring that all of their agents have the knowledge, tools, and resources to remain updated on all of the changes in the senior insurance market. Their agents are licensed and trained by the Medicare plan that they administer. and many, many other well-known providers. Consumers have quick and easy access to online quotes from the American Capital Health website. You can, of course, also call them directly at 1-877-517-9500. If you are 65 and older, check with them for quotes on their many Medicare plans, life insurance annuities, and other products. Although you can only change Medicare plans at the end of the year, getting a quote now will help you be prepared when the enrollment window opens up again. 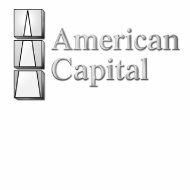 We have found nothing but good reviews of American Capital Health online, specifically for their individual brokers. There are stories about brokers trekking through the snow to help customers, saving customers plenty of money, and finding the perfect policies to fit client’s needs. From what we see, American Capital Health has a great portfolio of products and services, so coupled with their great customer reviews, they are definitely a company worth looking at for your insurance. This is especially true if you are a senior looking to change Medicare plans, or subscribe to additional products like supplemental insurance, dental insurance, and long-term care. You’re never too old or too young to have health insurance! Get the coverage you need at a price that fits your budget. Simply type your zip code in the box and look through the health insurance quotes for the one that fits your needs.